James R. Knowles, M.P.H., M.D. 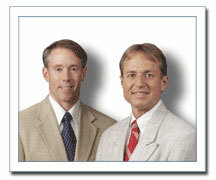 is an Ohio Cataract & LASIK Surgeon at Stahl Vision in Dayton Ohio. Dr. Knowles received his Medical Degree at Mayo Medical School in Rochester Minnesota and completed a Residency in Ophthalmology at Wilford Hall Medical Center at the Lackland Air Force Base in Texas as well as a Residency in Aerospace Medicine at the United States Air Force School of Aerospace Medicine. 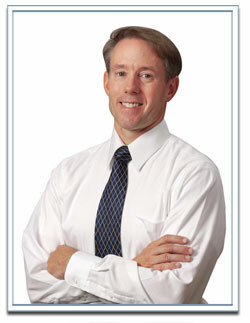 Prior to joining Stahl Vision, Dr. Knowles served as the Chief of Ophthalmology and Refractive Surgery at the Wright-Patterson Air Force Base in Dayton Ohio where he provided Laser Eye Surgery for the correction of nearsightedness, farsightedness and astigmatism as part of the Warfighter Laser Surgery Center sponsored by the Department of Defense. He is regarded as the most accomplished LASIK Surgeon at Wright-Patterson and has brought his expertise in Laser Eye Surgery to Stahl Vision where he performs LASIK, PRK and Custom Wavefront Laser Eye Surgery including CustomVision™ LASIK. In addition, Dr. Knowles is a highly experienced Cataract Surgeon who brings advanced techniques of Cataract Surgery, Refractive Lens Exchange and Intraocular Lens Implantation (IOL) to Ohio residents. Dr. Knowles is certified by the American Board of Ophthalmology and the American Board of Preventive Medicine-Aerospace Medicine and is a member of the American Medical Association, the American Academy of Ophthalmology and American Society of Cataract and Refractive Surgery. Dr. Knowles is a welcome addition to the Stahl Vision team as they continue to provide advanced LASIK Eye Surgery, Cataract Surgery and Refractive Lens Exchange Surgery to patients throughout Ohio.